1、H. C. Kolb, M. G. Finn and K. B. Sharpless. 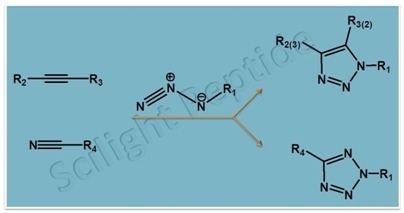 "Click Chemistry: Diverse Chemical Function from a Few Good Reactions". Angewandte Chemie International Edition. 2001, 40 (11): 2004-2021. 2、R. A. Evans. "The Rise of Azide-Alkyne 1, 3-Dipolar 'Click' Cycloaddition and its Application to Polymer Science and Surface Modification". Australian Journal of Chemistry. 2007, 60 (6): 384-395. 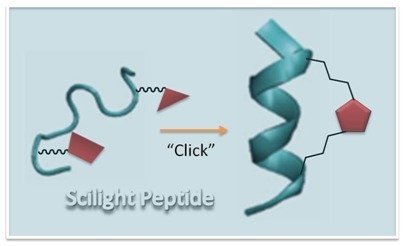 3、May, Brian Andrew, "Application of 'Click' Chemistry in Peptidomimetic Drug Design" (2008). University of Tennessee Honors Thesis Projects.